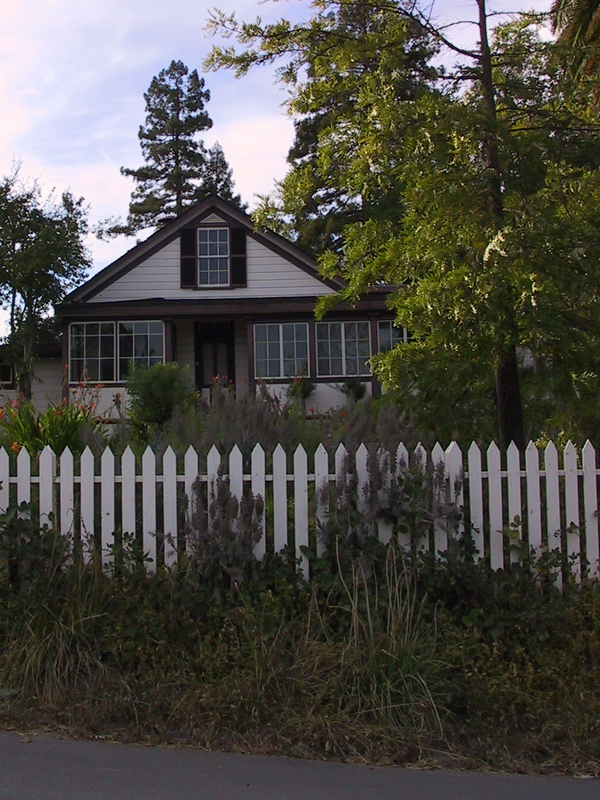 The historic park is at 2400 London Ranch Road in Glen Ellen, about 20 minutes north of Sonoma. The park’s upper parking lot provides access to a picnic area, London’s cottage, stables, stone barns, silos and "pig palace." Park Operated by Valley of the Moon Natural History Association. There is a museum in "The House of Happy Walls" which Mrs. London built where you will find park information, exhibits and a small sales area. A nearby trail leads to Jack London’s grave and to the remains of "Wolf House," London’s dream house which was destroyed by fire in 1913. 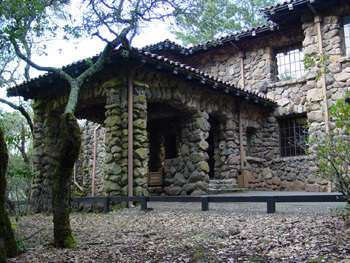 There is a museum in "The House of Happy Walls" which Mrs. London built in redwood grove find park information, exhibits and a small sales area there. A nearby trail leads to Jack London’s grave and to the remains of "Wolf House," London’s dream house which was destroyed by fire in 1913. The park contains the cottage residence where he wrote books, short stories, articles and letters while he oversaw various agricultural enterprises. Visit the Londons' Cottage to imagine what it would have been like to have been a guest at their spectacular Beauty Ranch. See where Jack prolifically wrote in order to keep his dream of developing a model farm funded. Ramble among the historic structures of the Ranch, explore the innovative "Pig Palace," discover how Jack's new approaches to farming are still relevant today. A 3/4 mile walk takes visitors to a dam, lake, and bathhouse built by London. Other hikes lead up through fir and oak woodlands to views of the Valley of the Moon. After London’s death, his wife, Charmian, continued to live at the ranch until her death in 1955. 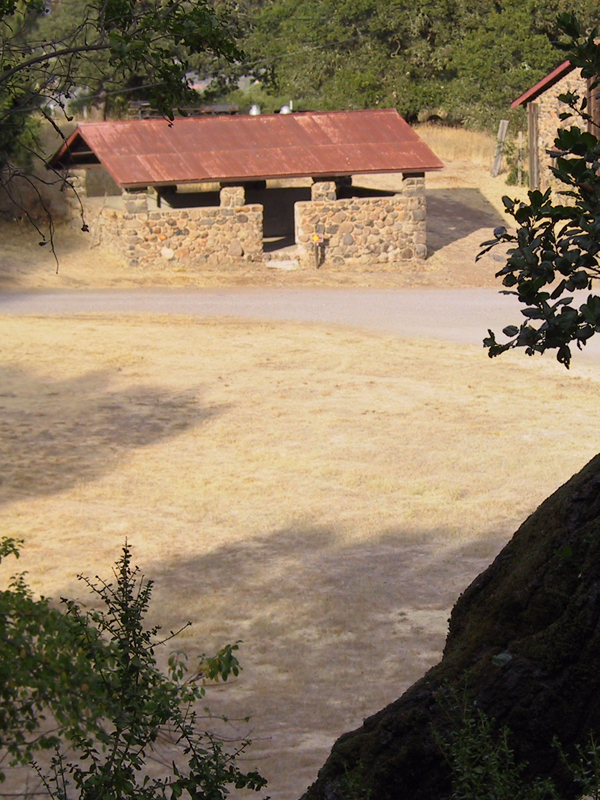 It was her wish that the ranch be preserved in memory of Jack London and his work. Operating hours can vary seasonably, some facilities may be closed when the park is open. Please note operating hours listed on the right side this page. Docent led tours and special events may be available, visit the link above or call park for details. Drinking water will no longer be available on the trail to the Wolf House ruins. For your convenience, bottles of water may be purchased at the House of Happy Walls Museum. Dogs are not allowed on backcountry trails. Dogs are allowed on a leash in the Historic Area only. Dogs are not permitted beyond the silos or inside the museum. Bicycling and horseback riding are permitted on some trails. The park contains a small picnic area. Camping is available at nearby Sugarloaf Ridge State Park. 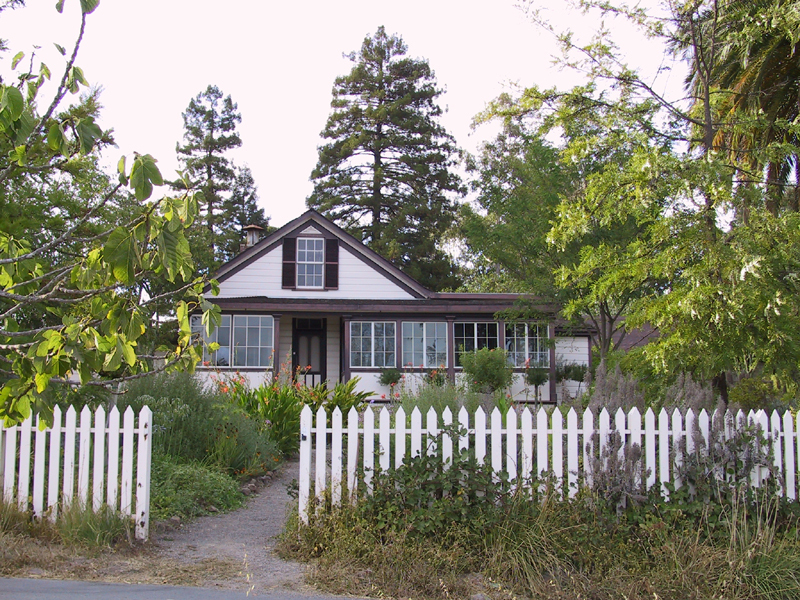 The historic park is at 2400 London Ranch Road in Glen Ellen, about a 20 minute drive north of Sonoma. The park’s upper parking lot provides access to a picnic area, Londons' Cottage, stables, stone barns, silos and "pig palace." The Kohler & Frohling winery ruins are near the cottage. Jack London Year End Reports Are Available Here!